Be Safe, Be Cable Safe! 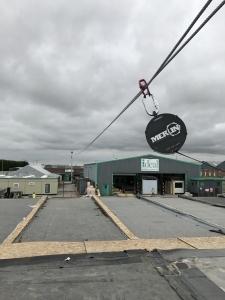 Cable Safe Limited are specialists in SAFE working at height. We design systems and supply various products for safe working at height and fall arrest in the work place. It is always a safe access, egress and rescue issue. 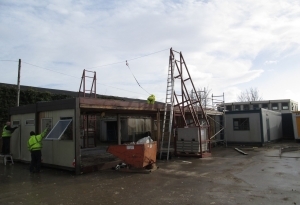 We design our systems to ensure that an operative is safe for the whole of a job, so they connect at ground level, gain access to the work area, complete the job and exit the work area, all while being connected to the system. 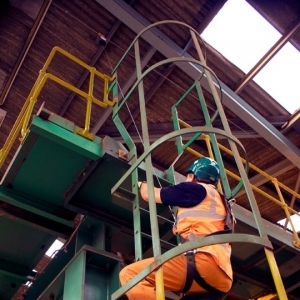 Should anyone fall the systems are designed to minimise the fall distance and lessen the impact of a fall on the operative. With the inbuilt rescue a second person can lower a fallen operative to safety while themselves still being at ground level. 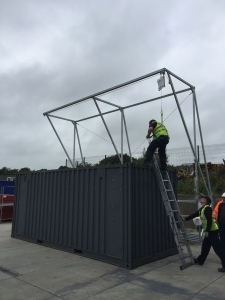 INBUILT RESCUE SYSTEMS ALLOW FALLEN OPERATIVES TO BE LOWERED TO SAFETY WITHOUT PUTTING ANYONE ELSE IN DANGER! We understand that a rescue plan is as important as a safe method of work. Our inbuilt rescue systems are designed to allow a fallen operative to be lowered to safety quickly and with ease. A second operative can lower the fallen operative from ground level without putting themselves in any danger. We are TRAINED TRAINERS and offer various training courses.